This scrapbook page uses images and papers from Set 1. Paper p7, frame 1f1, button 1b1 and pearl ring from Set 2, 2r1. 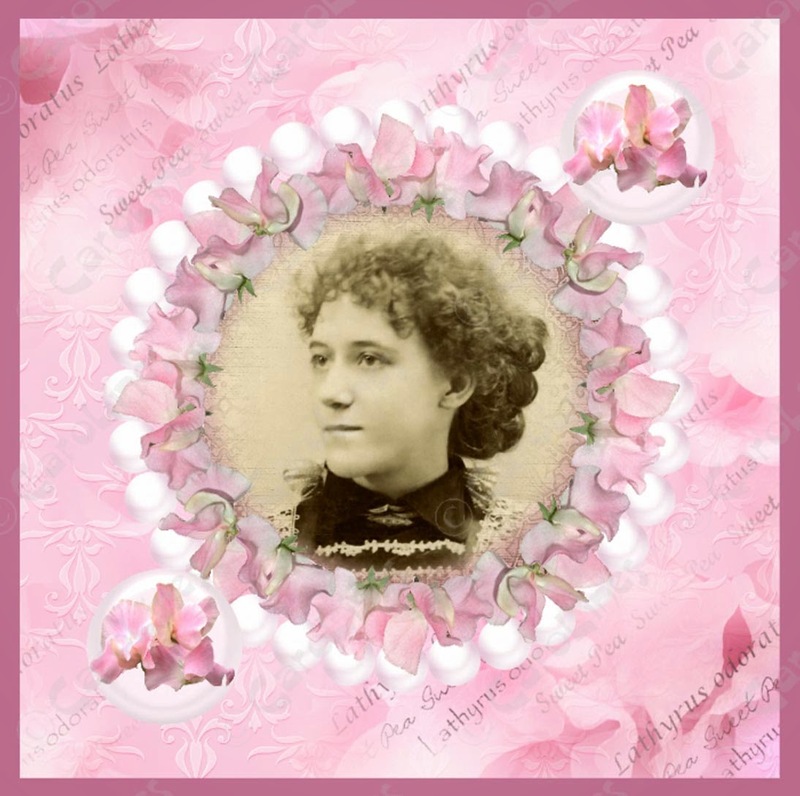 Nothing difficult, just place your photo in the frame, position the pearl ring behind it, place on to paper, a darker pink background square and then the buttons. This card uses paper 2p10, pearl ring 2r1 and button 2b2, from Set 2. 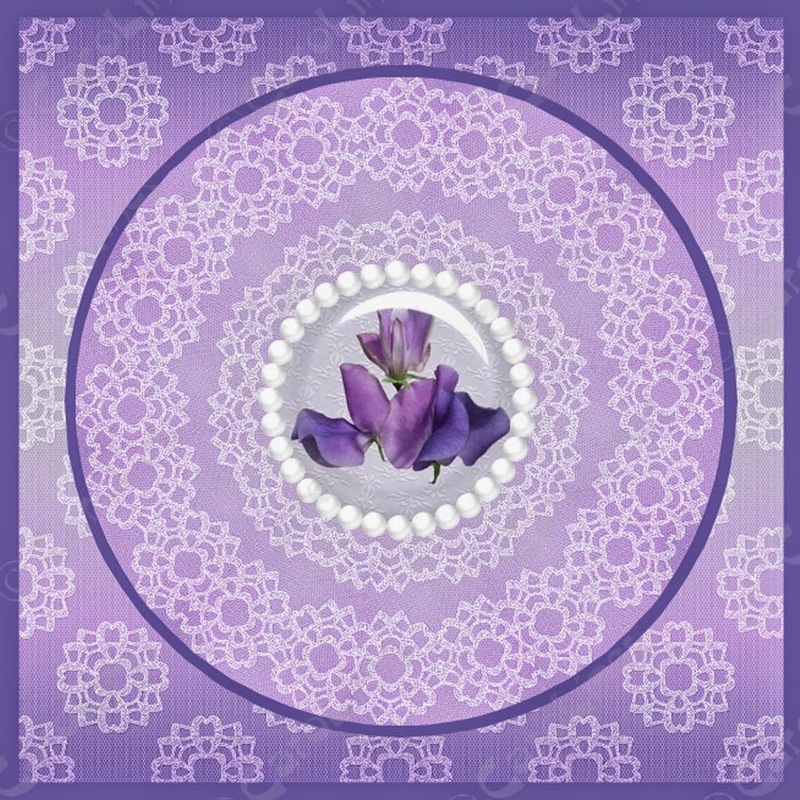 The kaleidoscope feature in Serif CraftArtist was used to create the patterned circle, this placed on to the paper (with a darker purple background), pearl ring placed around the button and both positioned in the centre of the circle.